Welcome to bow season America! Ahh, it's fall again with crisp mornings, clean air and pumpkin spice in every beverage known to mankind. 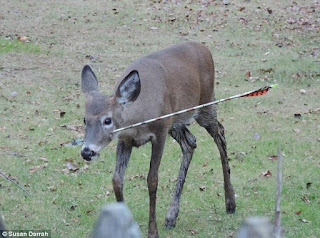 Today, I want to give some insight on shot placement so that you won't have to track a deer all over the countryside in a wheelchair. This will be effective whether you are shooting a bow or a gun, so dig in and enjoy. 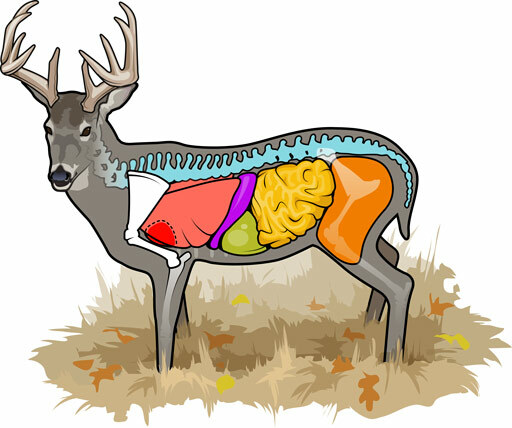 To aid in our understanding of shot placement, it is important to know the anatomical features of the target species which in this article happens to be deer, so please refer to the diagram. 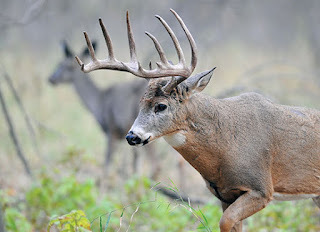 A Whitetail is an amazingly resilient creature. Trailcam pictures have shown deer who were not shot correctly walking around with the arrow sticking out of them the next year, seemingly unharmed by the hunter's miscue. As hunters, we have a tremendous responsibility to be as humane as possible. It is just good conservation to only take a shot when you are as certain as possible about the outcome. As a handicapped, disabled or elderly hunter, we also have our own limitations to consider when taking the shot. Some hunters want to show off by hitting only the heart while others try to go for the neck or head. All of these shots can go horribly wrong in a millisecond and should not be taken. Try to use the trick shots on species that are not wanted as much like hogs or coyote. Courtesy of DailyMail.com - not cool! So what is wrong with a heart shot? Incredibly, deer can run for hundreds of yards even when struck in the heart. Watch any number of hunting shows and you can see deer run even when hit by a rifle in the heart or neck. Spine shots take them down quickly but the animal is not dead immediately either. So what is the answer? LUNGS! You can't run without them and neither can a deer. Just a few days ago, I had a smaller buck come in. He had a badly deformed left antler and needed to be culled. I made sure to wait until I could punch both lungs before firing my crossbow. The shot drove him backwards and although he tried to escape, he didn't get 30 yards before collapsing and expiring quickly. I practice double lung shots religiously. The hump on a deer's back is a dead giveaway for the shot placement. The lungs are located immediately behind the hump. I imagine a line going from front to rear side of the animal so I can mentally picture the arrow going through both lungs before I release it. I rarely have deer run out of sight when I make the correct shot. The other benefits of a lung shot are there is minimal meat wasted. You are punching through the rib cage saving all the best meat for consumption. Lastly, your margin for error is much larger due to the lungs being so large in Whitetails. If you can hit a six-inch target consistently, you can make a lung shot and be eating venison this winter.